October 3, 2018 Inspirational LeaderLeave a Comment on Winning Wednesday! This morning before I started the drive to Oak Brook, IL for a training on QuickBooks Online I stopped at Starbucks for Breakfast. A guy pulled up on his bike and it looked like a sleeping bag that was attached to it. We walked in and he ordered first and me second. As I was leaving I noticed he was counting the bills he had left. I assumed this was what he had left. I think people are surprised by when someone with a cane goes above and beyond just to make someone else’s day. I think it is awesome. Just one small act of kindness can change someone’s day! 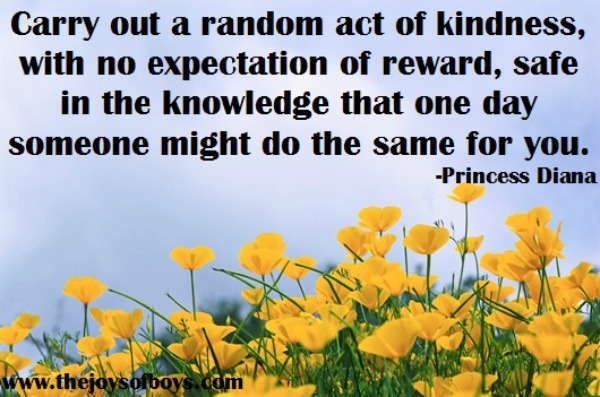 Have you made a difference in someone else’s life today by a random act of kindness? Previous The force within us!